I love Portugal! As I write this, I am just back from a second trip to Portugal (May 2017). Everything was even better than I remembered. Both times, I have been fortunate to travel with friends. The first trip, in 2010, was with a group of photography friends (Who are referenced elsewhere, too.) and this last trip, with two of the former group and 11 new friends I met on the trip! Speaking Spanish, I learned some Portuguese before both trips just for the fun of it. The Portuguese, for the most part, all speak English and well! They are also very friendly and helpful people, something that makes traveling in their country a pleasure. I have struggled with exactly how to present the materials about Portugal here in the blog. I did not keep a written journal of the first trip, which included stops in Lisbon, Santarem, Nazaré, Obidos, Evora, Tomar, Batalha, Sintra and Porto. I have a lot of photos though! 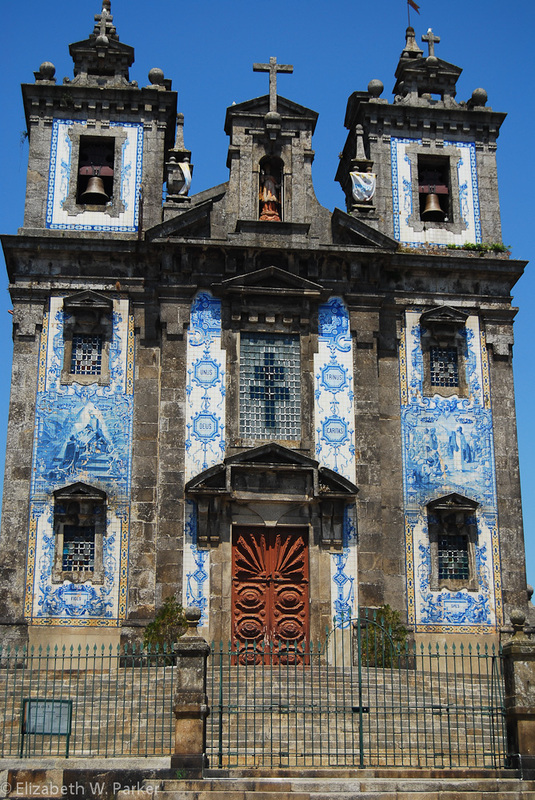 This second trip was a river cruise with Uniworld and included a couple of days in Lisbon (at both ends), Porto and the Douro River on the boat. As always, the two trip journals here will flow day-by-day one to the next, but I will also link to specific portions on this page, in case your interest is just one of these places. I love your comments, and I hope you will tell me about your Portugal experiences! Alfama District – Here there are many buildings decorated with tiles. The port boats in the Douro River in front of the caves. The Dom Luis I Bridge is in the background.